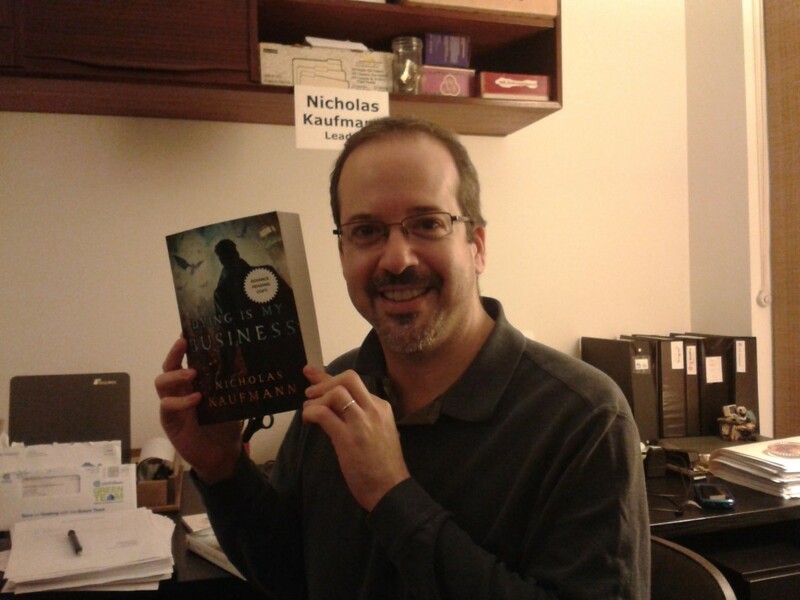 Advance reading copies of Dying Is My Business! Books don’t always get full-color covers when they’re in ARC form, so I’m extra excited about it! Click on the picture for a bigger version.